Chickpea Recipes are in demand as chickpeas are loved by all as they are comfort food. Chickpeas are used in many recipes for lunch, dinner and breakfast. They are wonderful as snack recipes too. A variety of chickpeas are available and are used whole, split and in flour form to make a variety of dishes. The types of chick pea are, black, brown, white, green. These are whole chickpeas before removing their husk. 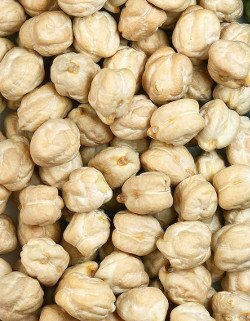 How to skin chickpeas - Instructions for Removing chickpea skins if necessary. 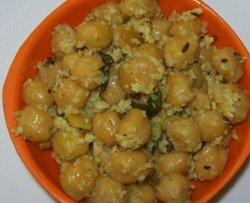 Also known as Garbanzo beans, are called Kabuli chana in Indian language and are used to make the following recipes. 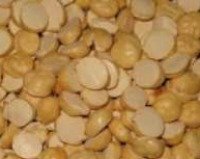 Split chickpeas are known as Bengal gram dal or Chana dal in Indian languages. 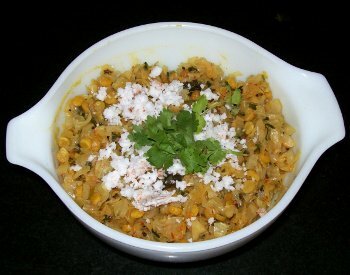 Chana dal is used to make curries, added to vegetables such as Cabbage stir fry and rice recipes, salads, curries etc. 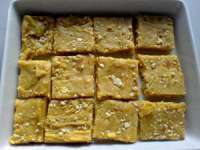 Many sweets are made with bengal gram dal such as puran poli, pooran kadabu, chana dal kheer etc. 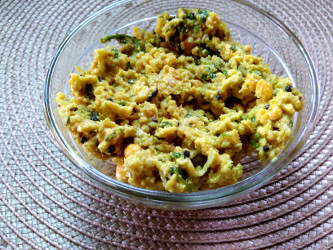 Snacks and side dishes such as vatli dal, ghugri are made with chana dal too. Kohlrabi/Knolkol subji to accompany plain rice or roti. 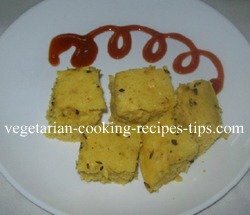 Chickpea flour is commonly known as Besan in Indian languages. It is also known as chana dal flour, bengal gram flour. Chickpea flour is useful for external use on the skin too apart from being a wonderful food ingredient. 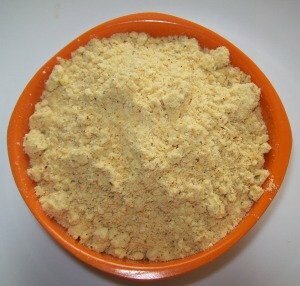 Chickpea flour is a good skin cleanser so it is used as a body scrub powder for babies as well as grown ups. Chickpea flour is mixed with milk/cream and used at bath time. It cleans and softens the skin but does not remove the necessary oils. 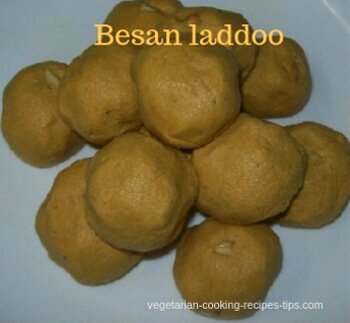 Chick pea flour , called Besan or gram flour is used to make many dishes, mainly snacks. It is used as a thickener for soups, curries. 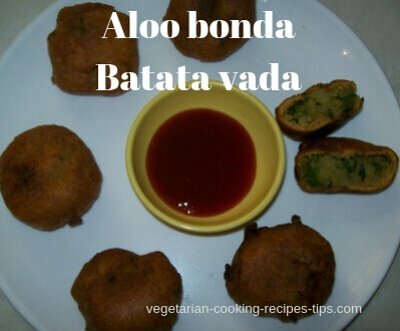 Cauliflower pakora, paneer pakoda, bread pakoda, aloo bonda these snacks use besan. 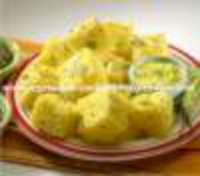 pancake - instant dosa, sev and many more sweets such as Besan ladoo, puran poli, besan barfi, rava besan vadi etc. Roasted chickpeas called bhuna chana/dalia(hindi), puthane(marathi), hurigadale (kannada), pottukadale(tamil). 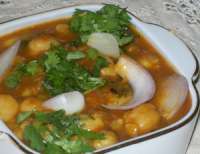 Bhuna chana is added to savory items such as chivda, mixture etc. 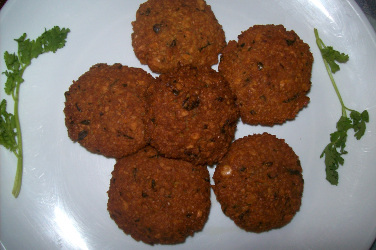 Bhuna chana can be used as snack by itself. It is made in to dry chutney powder too. The roasted chick peas flour is also used as a thickener in curries, chutney etc.